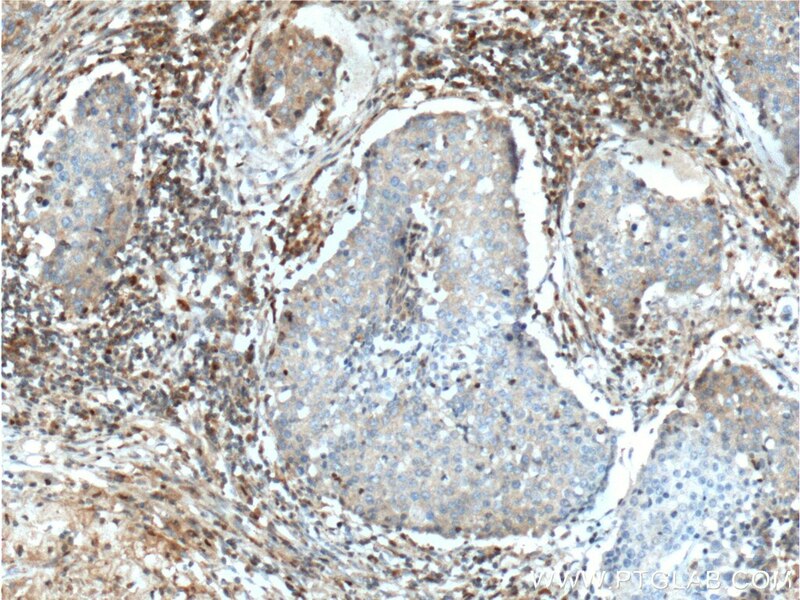 Immunohistochemical analysis of paraffin-embedded human skin tissue slide using 26918-1-AP( Integrin beta-1 Antibody) at dilution of 1:200 (under 10x lens). 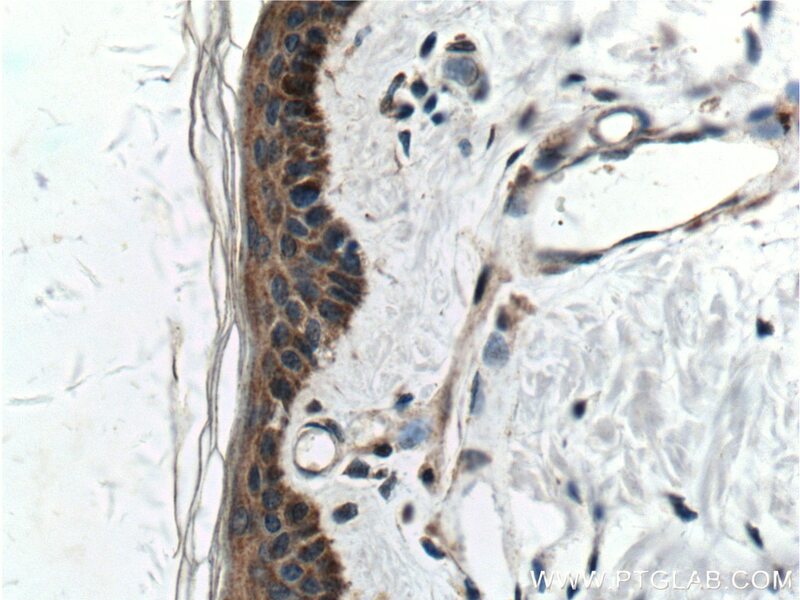 Immunohistochemical analysis of paraffin-embedded human skin tissue slide using 26918-1-AP( Integrin beta-1 Antibody) at dilution of 1:200 (under 40x lens). Single-cell analysis of the impact of host-cell heterogeneity on infection with foot and mouth disease virus. Silencing Formin-like 2 inhibits growth and metastasis of gastric cancer cells through suppressing internalization of integrins. 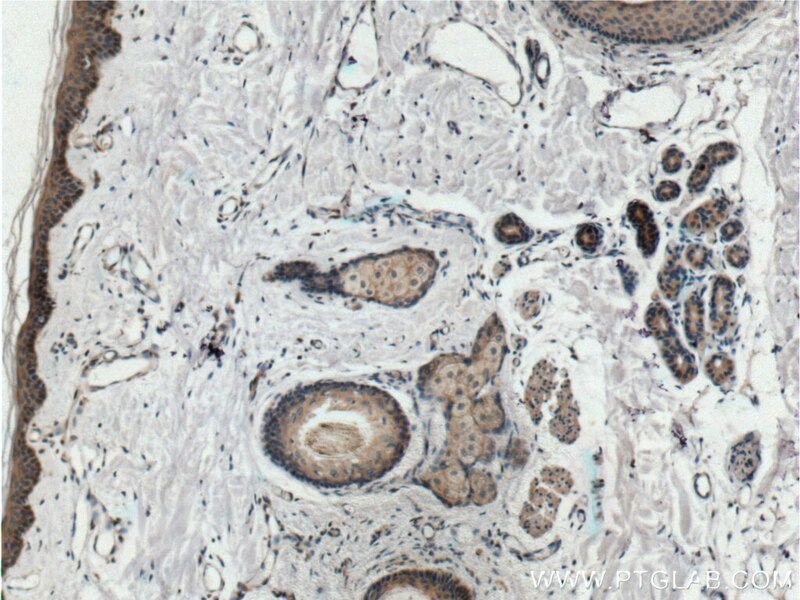 Immunohistochemical analysis of paraffin-embedded human lung cancer tissue slide using 26918-1-AP( Integrin beta-1 Antibody) at dilution of 1:200 (under 10x lens). heat mediated antigen retrieved with Tris-EDTA buffer(pH9). 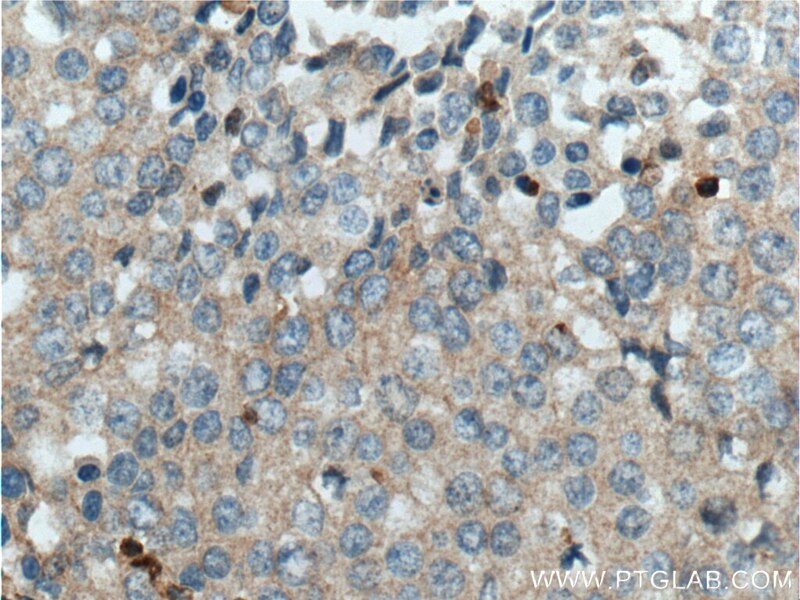 Immunohistochemical analysis of paraffin-embedded human lung cancer tissue slide using 26918-1-AP( Integrin beta-1 Antibody) at dilution of 1:200 (under 40x lens). heat mediated antigen retrieved with Tris-EDTA buffer(pH9).